Have you gone to a local shop, restaurant, or hotel where the cooking oil is heated throughout the day for all the snacks or reheated when you need a snack? 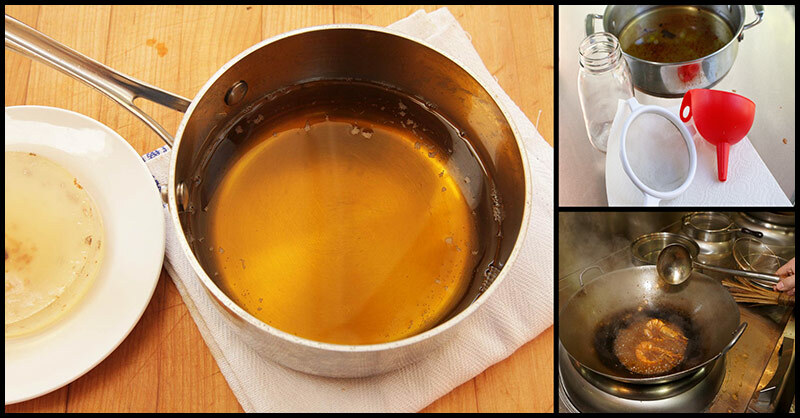 Or have you tried reusing oil for cooking because you want to save on expenses since oil seems so costly these days? A diet consultant, Naini Setalvad also explains that the free radicals created by reusing oil can cause ailments in the long run since they attached themselves to healthy cells and can lead to diseases. These can cause cancer and atherosclerosis, which can lead to an increase in bad cholesterol levels, blocking the arteries. Also included in some other potential health risk of reusing oil are heart disease, acidity, irritable throat (due to inhalation), and Alzheimer’s and Parkinson’s disease. Team Alice suggests that you should use fresh oil every time you cook as this is the healthiest option for you and your family. Cooking at high temperature needs an oil that is stable and will not oxidize easily. When oils undergo oxidation, they form free radicals and compounds which are damaging to your health. Alex Mark Kakooza, a nutritionist at Homart explained that fats and cooking oil are classified into Polyunsaturated fats and when you eat them as food such as fish, seeds, nuts, and leafy greens, they have clear health benefits. Monounsaturated oils are found in olive oil, olives, hazelnuts, avocados, and almonds and also in lard and goose fat. Saturated fats are particularly contained in dairy and other fats derived from animals. Olive Oil - This oil is famous for its heart-healthy effects, which is believed to be a key reason for the health benefits. Coconut Oil - When it comes to high heat cooking, coconut oil is your best choice. It is resistant to heat as more than 90% of the fatty acids in the oil are saturated. Avocado Oil - This oil can be used for many of the same purposes as olive oil. It is monosaturated, with some saturated and polysaturated character mixed in. You can cook with it, or use it in the cold state, according to Kakooza. Butter - A butter contains Vitamins A, E, K2, fatty acids Conjugated Linoleic Acid (CLA) which lowers body fat percentage in humans. It can also improve gut health and fight inflammations since it contains butyrate. But on the other hand, it tends to get burned during high heat cooking like frying. Palm Oil - Palm oil is a good choice for cooking. It consists of saturated, monounsaturated fats and small amounts of polyunsaturated fats. This makes palm oil a good choice for cooking. Red Palm oil is the best because it is rich in Vitamins E.
Nut And Peanut Oils - There were lots of nuts oils, however, they are very rich in polysaturated fats which make them a poor choice for cooking. They can be used as parts of recipes but not to be used to fry or do any high heat cooking. Seed And Vegetable Oils - These types of oil are highly processed and are way too rich in Omega-6 fatty acids. Apart from the fact that you should not use them in cooking, they are also linked to many diseases which include cancer and heart diseases. They include Cottonseed, Canola, Rapeseed, Soybean, Corn, Safflower, Sesame, Sunflower, and Grapeseed. Keep unsaturated fats like palm, avocado, and olive oil in an environment where they are less likely to oxidize and go rancid. Place them in a cool, dry, dark place and make sure to screw the lid on as soon as you finish using them. Do not buy large batches at a time if you are not going to use it at once to make sure that your oils and fats do not get stale.